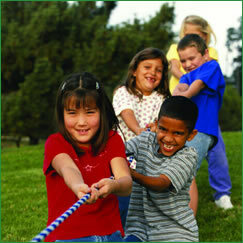 The school-age years bring new and exciting challenges and rewards for children. Research conducted on school-aged children show that peer relationships have a profound impact on children’s overall development. Children who have good relationships with classmates are often less lonely, less depressed, miss fewer days of school, and have greater joy in school. For these reasons, parents and professionals are often concerned about children who have problematic peer relationships and difficulties with social skills. In particular, children who struggle with peer acceptance and reciprocal friendship building are at greater risk for increased problems in elementary school. Such children are at risk for bullying, social isolation, sadness and school related difficulties. If you are concerned about your child, you may wish to consult with a counselor or psychologist. Pediatricians and school personnel can also be valuable resources.